Part No. 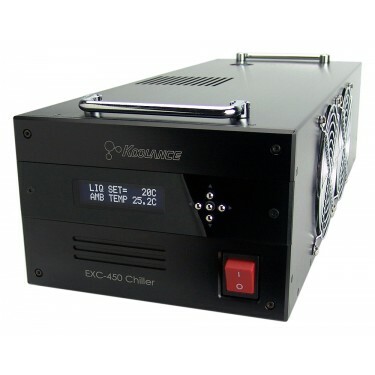 EXC-450 In Stock Fedex orders placed now will ship on April 22nd. 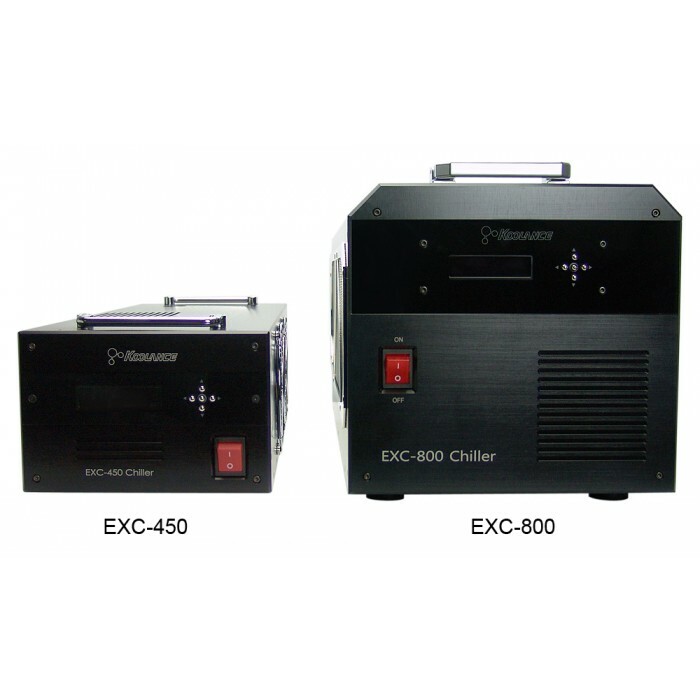 Koolance's EXC-450 is an extremely compact (6in x 8in x 21in, or 152mm x 203mm x 533mm) portable recirculating liquid chiller rated at 450W, or 1535 BTU/hr @25°C liquid & ambient. Chiller control is based on one of four configurable temperature set-points, including the option to lock liquid to ambient for avoiding condensation or to an external K-type thermocouple sensor (not included). Along with temperature and set-point, EXC-450 can report internal coolant flow rate, pump RPM, and condenser fan RPM on a customizable 2-line OLED display. 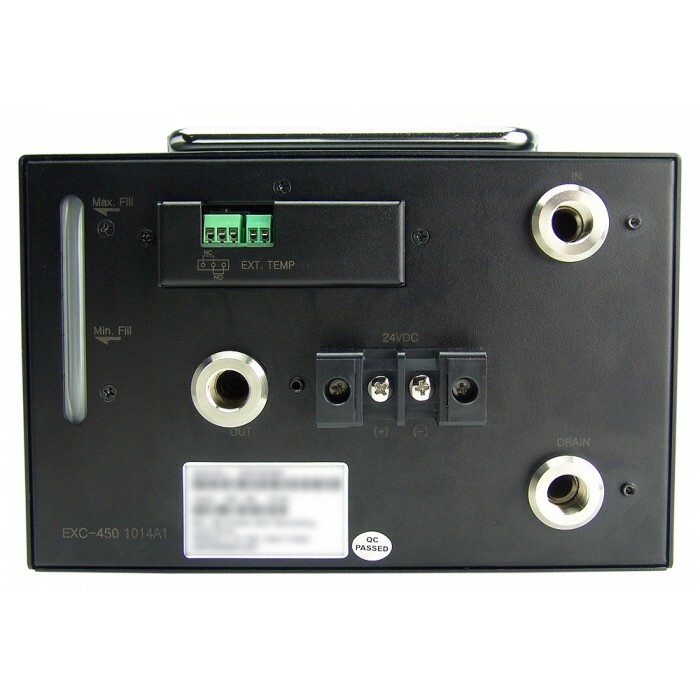 An adjustable relay trigger output on the rear of the unit is available based on temperature. NOTE: Requires 24VDC input power. 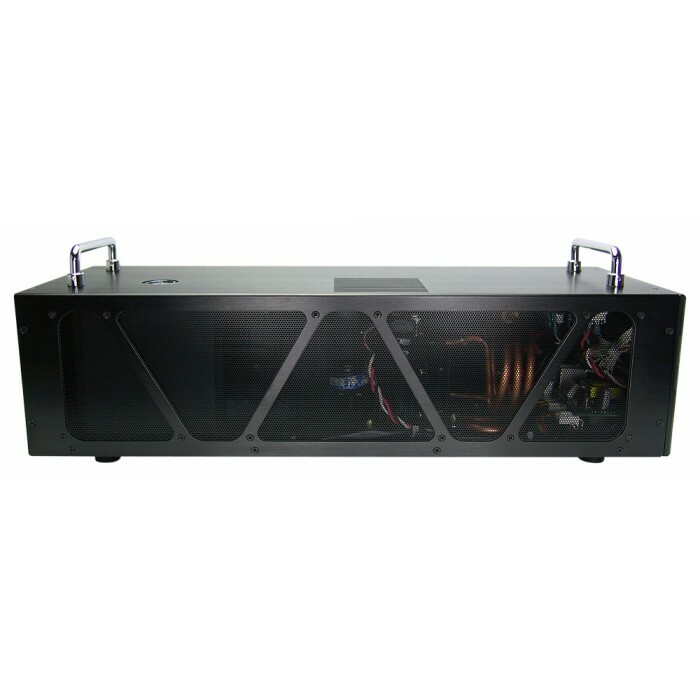 Koolance offers a separate power supply for AC wall outlet sources. Keep unit upright at all times, and for at least 24 hours before applying power to ensure sufficient oil reaches the compressor.